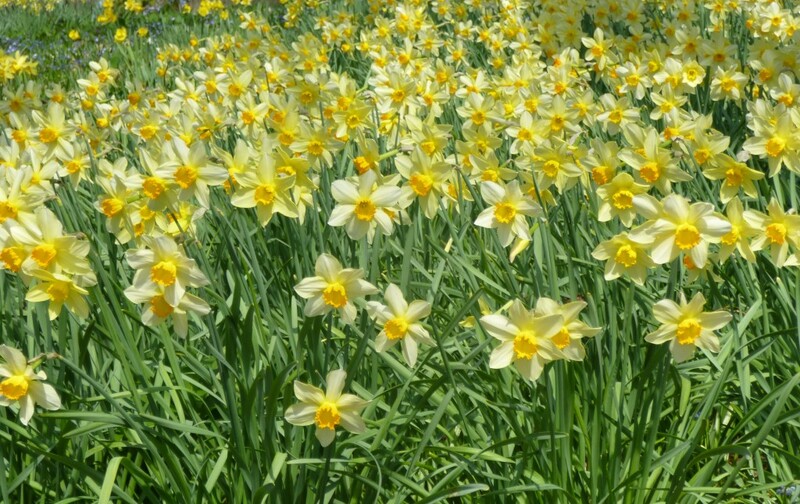 Join us on Saturday, April 13, and celebrate the beauty of the daffodil while enjoying Winterthur’s amazing daffodil display! Henry Francis du Pont used his collector’s eye in assembling his collection of hundreds of heirloom daffodil bulbs arranged in cloud-like drifts on Sycamore Hill. The day’s events will include tours, kids’ crafts, and a children’s daffodil show. Members free. Included with general admission. In addition, a self-guided Daffodil Tour starting at the Visitor Center, the Spring Tour through the house, the Costuming the Crown exhibit, and the self-guided Follies exhibit are available throughout the day.